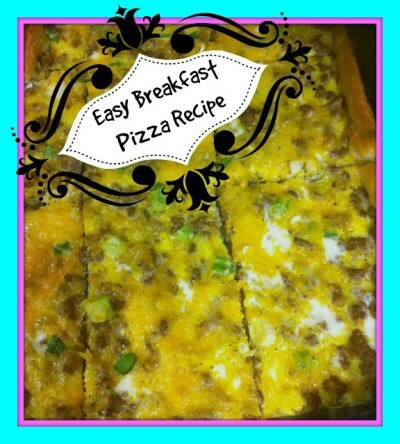 Here’s a Yummy quick and easy recipe for breakfast pizza that everyone is sure to enjoy. Mix the eggs, salt, and pepper in a bowl. Place cresent rolls an in a 9 x 13 baking pan. Mush seams together, and cover whole bottom of pan. Spread cooked sauage evenly over cresent rolls, sprinkly cheese over top. 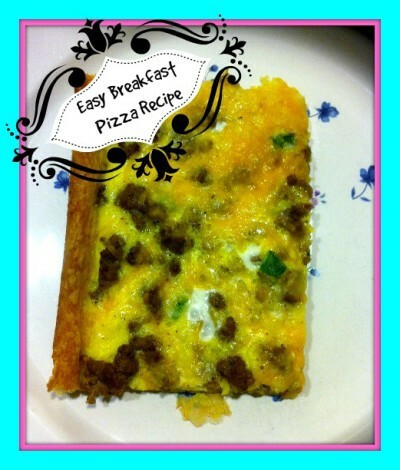 Pour egg mixture over the top, and bake in oven @400 degrees for 25 minutes.